To celebrate the awesomeness of Friday, today is a multi-page update! So, to read the first and second pages of Maliik’s story, START HERE! We’ll be doing these multi-page updates from time to time, so hopefully you guys dig the extra-ness! Maliik is stinky because he’s been wearing the same clothes since before the semester break. That’s when Maliik first encountered Miyumi San, the cute girl wearing a similar striped shirt, who saved him from a deadly explosion. But long before all that, Maliik used to be fixated on this girl Sabrina Spitaro who likes to wear baggy sweatshirts. Actually he was mostly obsessed with the back of her head, because he sat behind her in Mathematical History class, and never had the guts to actually talk to her. Sabrina has a Butter Pup lunchbox. This is a popular comic strip character in the Astronaut Academy universe. 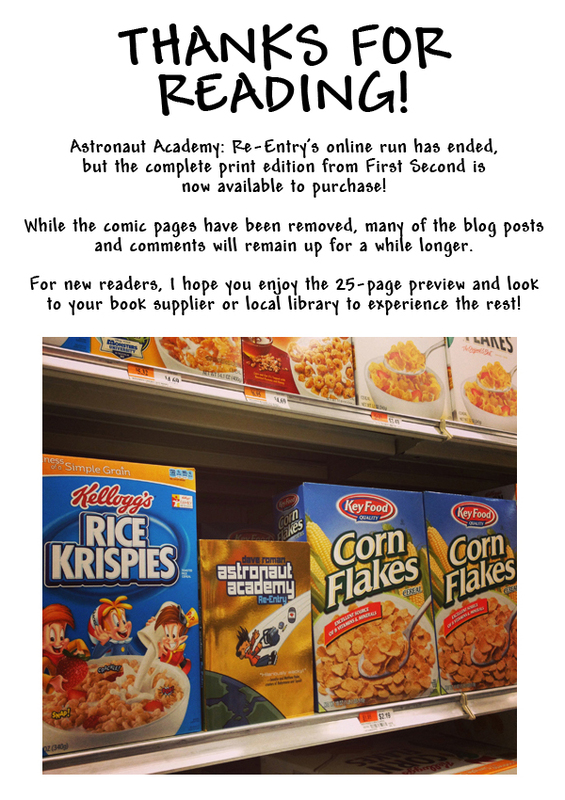 Here’s another great piece of Astronaut Academy fan art, this time from my Kids’ Comics Revolution co-host, Jerzy Drozd! 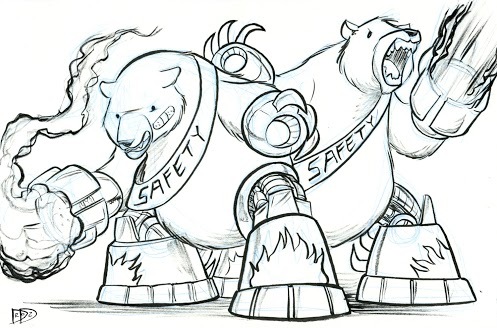 It’s the Safety Bears looking extra fierce! Now I want to read some Butter Cup comic strips!